Alanna jumped on board at Bishop’s Cellar when the company was still very new. Since then she has brought her warm personality and extensive wine knowledge to several roles within our retail and operations teams. Like many of our staff, she never tires of the variety of people and products this industry exposes her to! Alanna found her way into the wine industry through her love of art, culture, food, and romance languages. After travelling and studying in France, Spain and Italy; she knew she wanted to learn more about the world of wine. Around the same time her father decided to plant a 12 acre vineyard in the Annapolis Valley. Her experience working in the vineyard gives her a unique understanding and respect for the producers of the wines we enjoy. She loves to tell their stories in her work with Bishop’s Cellar. Alanna splits her time between the store and our warehouse offices using her product expertise to design educational programs and elevate customer experiences throughout the business. 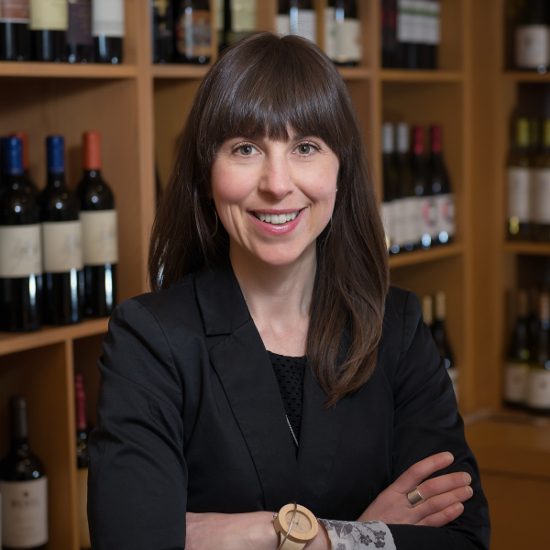 Certifications: Alanna has been a certified sommelier since 2002. She is also a certified yoga teacher with the Himalayan Institute Teachers Association (HITA) and leads our warehouse staff in the occasional lunchtime yoga session. Alanna has also received the WSET Level 3 Award in Wine & Spirits. I love Chardonnay in all of it’s stylistic incarnations and have been consistently happy with Le Chai Duchet’s Macon-Villages. 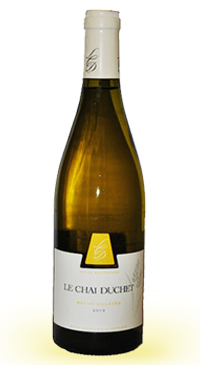 It is a classically styled Chardonnay from Southern Burgundy that I can actually afford and that I can drink anytime, no matter what my mood or occasion thanks to its wonderful balance. The organically grown (though not certified) grapes are fermented in stainless with indigenous yeasts and there is minimal use of SO2 during and after winemaking. The fruit is ripe, though not tropical, think apple and pear, with just the right amount of fresh yeasty notes on the nose and palate from some lees contact. This wine captures the effortlessness and subtle elegance of French style in a glass; timeless, elegant and always fashionable! Ask a Pro: What’s the difference between rosé and “blush” wine?